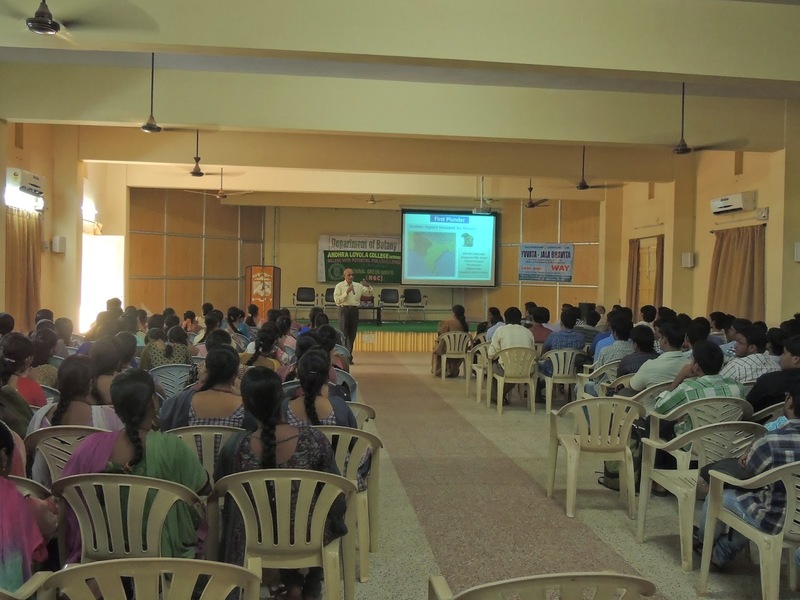 The Department of Botany organized a one day seminar on the theme' CONSERVATION OF NATURAL RESOURCES' on the topic' YUVATHA- JALABHAVITHA' on 29-12-2013 at the old seminar hall. 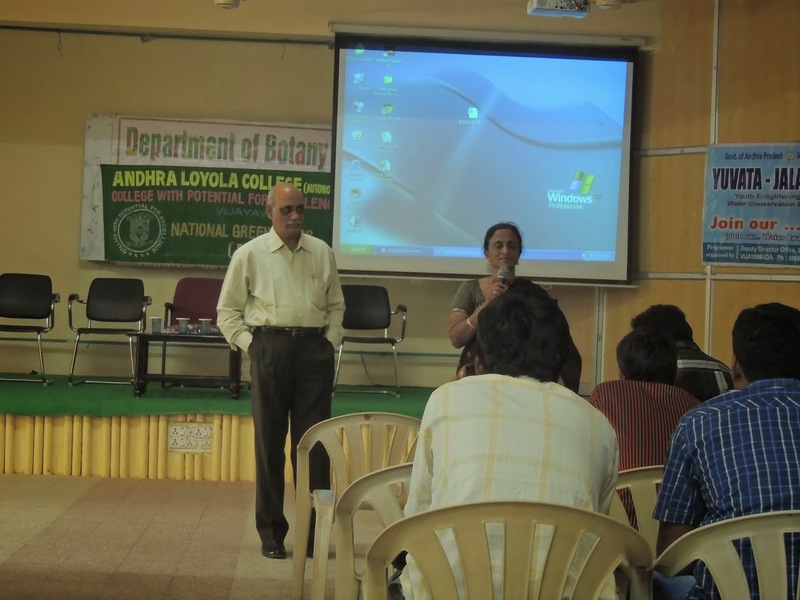 The seminar began with the words of welcome by the HoD, Dr. B. Siva Kumari, she enlightened the students with his analysis on present day scenario on natural resources and need to learn the conservation aspects, role of students in the conservation of water. Sri. A. Vara Prasada Rao, Deputy Director, Ground Water Department, Andhra Pradesh, was the resource person , he explained the importance of water, various methods of conservation to save water bodies, he also enlightened the students regarding their carrier. He explained about the value of the water, the problems which are going to be faced by the future generations, if we continue the wastage of natural resources. Natural resources occur naturally within environments that exist relatively undisturbed by mankind, in a natural form. A natural resource is often characterized by amounts of biodiversity and geodiversity existent in various ecosystems. The programme monitored by Dr. B. Siva Kumari, Mr. P. Srinivasa rao, Mr. K. Bala Chanda and Ms. S. Glory and students leaders. On behalf of the Department I would like to congratulate all the students of Botany Department who won first prize in the Crib making on the eve of Christmas celebrations on 23rd Dec, 2013. 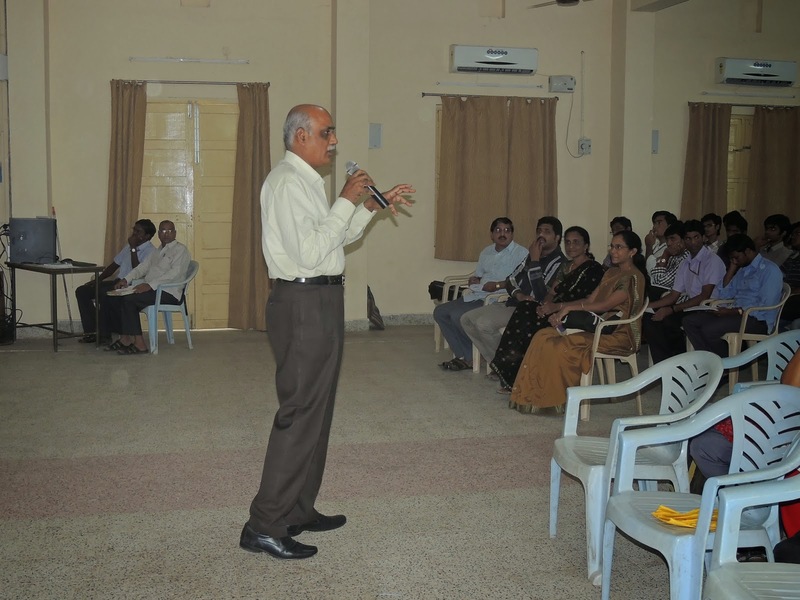 Dr.B.Siva Kumari, Dept. of Botany, have been presented with the State Level Best Lecturer Award and Certificate of Excellence in their respective subjects for the academic year 2012-2013 by the Commissionerate of Collegiate Education, Govt. of Andhra Pradesh, at the valedictory function of Yuva Tharangam 2013 held at Jawaharlal Nehru Architecture and Fine Arts University, Hyderabad, on 30th November 2013. 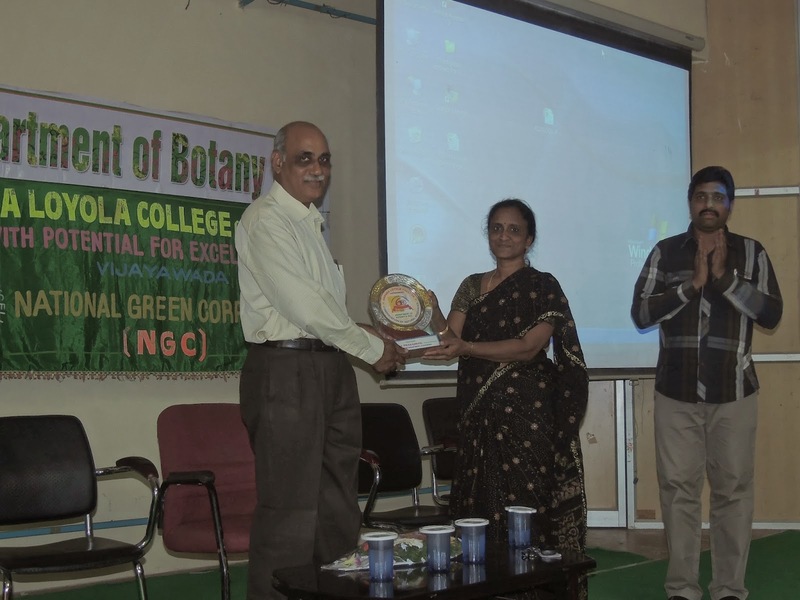 Dr. B. Siva Kumari Lecturer in Botany awarded Best Lecturer in Botany by the Commissionerate of College Education, Government of Andhra Pradesh on 30th Nov, 2013 for the academic year 2012-13 based on API score.